We go beyond the box to invest in our community every day. These three words are our way of stoking the flames of a movement that is already ignited. They point towards social responsibility. They ask us to be accountable for our actions—not just as a business, but also as individuals. They urge us to make healthy and sustainable choices. These words are rooted in the realization that each of us can support a better world with every dollar we spend, and that we can go Beyond the Box to make a real difference in our communities. The Organic Box believes in living this philosophy every single day. Providing a fruitful future to our community means a lot to us. In September 2017, we implemented a 'Beyond The Box' fee. The 'Beyond The Box' fee is a standard fee that we charge all members to help offset the many costs that The Organic Box incurs for activities that go beyond the daily operational expenses of the business. This fee in the past was called the sustainability fee, but we felt that it needed a change in wording as sustainability did not quite fit with all that we are doing that goes beyond being just a business that sells food online. The fees collected go to supporting community events in the communities that we deliver to, supporting the many not-for-profit businesses that do amazing work in Edmonton, Calgary, Fort McMurray and the Bow Valley, our pick-up location volunteer programs, plus many other smaller towns that we deliver to as well. The fees collected help to offset the transportation costs that The Organic Box incurs to pick up and deliver small scale growers' products to our warehouse in Edmonton, as well as transporting leftovers to non-profits such as Y.E.S.S and animal rescues so that this food is diverted from the landfill or from being simply composted. The fees collected also help us be able take on projects that help reduce our ecological foot print as well as support open source communities with the technology that we are developing as a result of our online business. We chose to make the original sustainability fee, which is now called 'The Beyond the Box' fee, mandatory as part of a financial commitment from all Food Family Members to support the change that The Organic Box is a part of to change the food landscape in Alberta. With out this fee many important commitments and projects would have to be cancelled or put on hold while the economy in Alberta recovers. We started Beyond the Box to support those who share our conscious decision-making and help other organic agriculture organizations grow a happier planet. This fund was ultimately created to embody one simple fact: A healthy choice today will create a healthier tomorrow. 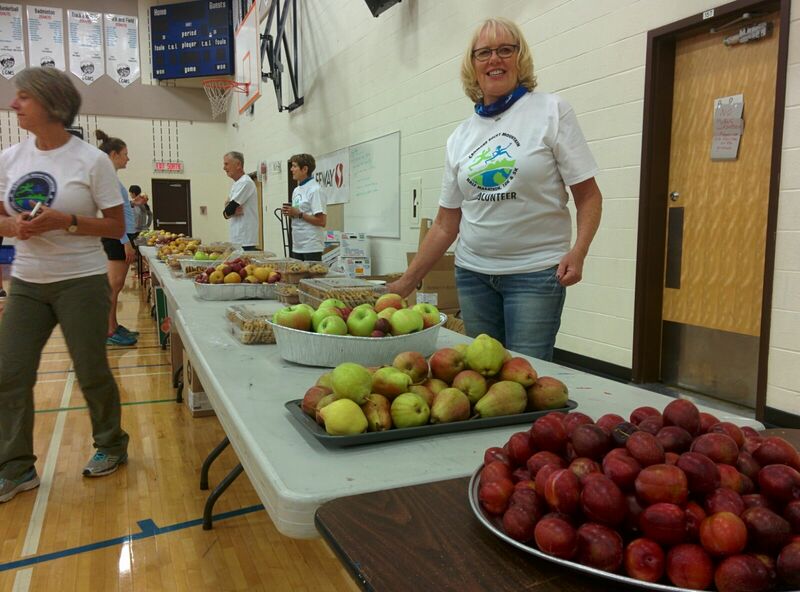 The Organic Box Team in Canmore donated BC Fruit to the Canmore Rocky Mountain Half Marathon to raise funds for the Cause Canada development projects in Guatemala and Honduras. This donation was made possible by our partnership with growers in the Similkameen Valley near Cawston, BC. Edmonton is home to the Youth Empowerment and Support Services - an emergency shelter and recovery centre for the homeless and vunerable kids living on our streets and parks. The shelter provides overnight accomodation and long term programming to help bring young people off the streets and give them a future. Everyday YESS saves the lives of dozens of youths that have nowhere else to turn. YESS has no food budget and relies on food donations to supply over 5,000 meals a month to its clients. Since we opened in 2010, The Organic Box has provided donations to YESS on a weekly basis to help them feed our youth. In 2015, we launched our Food Budget Program to give the kitchen at YESS a steady budget of food that they could order to make sure that they always had the staples they need in the kitchen. The Organic Box matches 100% of donations made by our members and last year we donated over $35,000 in food to the YESS kitchen. The Stollery Children's Hospital and the Royal Alexandra Hospital are both wonderful resources for parents of sick kids in Northern Alberta. Servicing families from across BC, Alberta, Saskatchewan, the Yukon and the NWT, people travel from across our country to get their children the very best in pediatric care. When they are here, many stay at the Ronald McDonald House of Northern Alberta. This home away from home is a respite for families during what is often either the worst or the best times of their lives. Making sure that families eat well and kids are provided with the best nutritional opportunities possible is part of the success of this house. 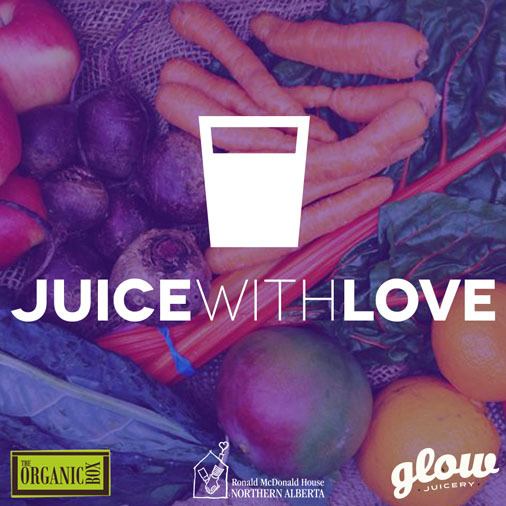 The Organic Box has supported the house since opening in 2010, and in 2014 we launched our very special Juice With Love partnership alongside Glow Juicery. We work together with Glow and the House to prepare weekly fresh, raw juices for the residents of the house and the children under care. The Organic Box donates fresh fruits and vegetables every week that are transformed into these juices. 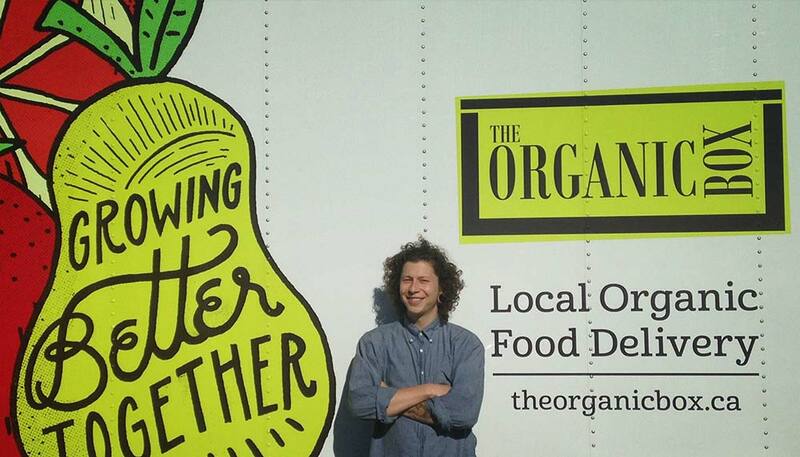 The Organic Box partners with organizations involved with industry development or education about organics in our community. For these initiatives, we often provide food donations, silent auction items, community outreach programs and straight cash donations. Another way we love giving back is by providing businesses that are trying to find or grow markets with helpful advice and mentoring. We also do our best to create a market for them by promoting them to our food family members. If you are creating a healthier future or know someone who is, let us know. We might be able to help. The Organic Box cares deeply about this planet, which is why we are 100% committed to working under a sustainable business model and providing environmental leadership within our local food community. Decreasing our environmental impact is a continuous process we tirelessly pursue. We have defined several areas where we are actively working to reduce our carbon footprint and be a more sustainable business.